Nordic walking is a low-impact sport, originally invented in Finland as a training method for cross-country skiers. Using similar actions to cross-country skiing, it exercises the same muscles – so allowing winter sports athletes to maintain fitness levels even when there's no snow on the ground. The benefits of the sport are well documented. Turning a normal walk into a full-body workout, Nordic walking uses most of the muscles in the body, and increases calorie consumption by anything between 20 and 45 per cent. It tones the arms and waist, as well as the lower body – and it's an activity that costs very little, can be done almost anywhere, and can be fitted into even the busiest routines. According to Nordic Walking UK, the sport can significantly improve the condition of your muscles, heart and lungs. It can also help you lose weight, boost energy levels and ward off all sorts of medical conditions such as diabetes, high blood pressure and stress. 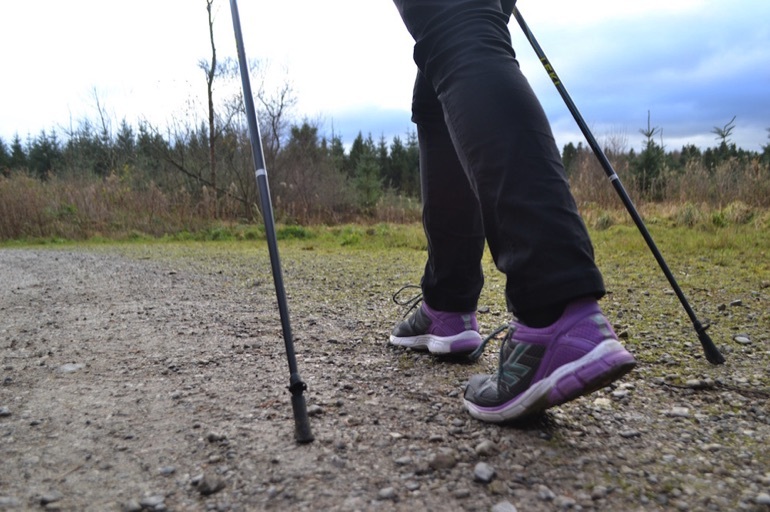 As it's low impact, Nordic walking can be an ideal alternative to other exercise if you're suffering from joint problems or recovering from an injury – although you should always consult your doctor before trying any new activity. It takes a while to get used to walking with two poles, and Nordic walking requires a certain amount of co-ordination. Ideally you should take a training course – Nordic Walking UK lists thousands of qualified instructors who can help you master the technique. How many sessions you need may vary – it can be picked up in just one lesson if you're a fast learner and relatively fit. Once you're confident enough to head out alone, all you need is some sturdy footwear, such as waterproof walking shoes or trainers, and some good quality poles. Leki is widely respected and recognised for producing high quality poles. With prices starting at just £49 per pair, this is an affordable investment that will last for ages – my first pair of Leki poles is still going strong after several years of almost daily use. You can enjoy Nordic walking almost anywhere – just check out an ordnance survey map of your local area, pick a route and go! Or head to your local park. 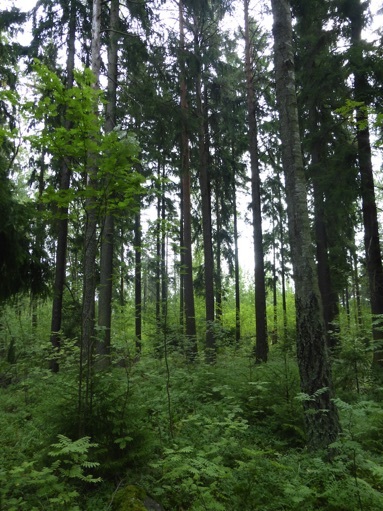 For a truly authentic experience, though, why not visit Finland, the home of Nordic walking? 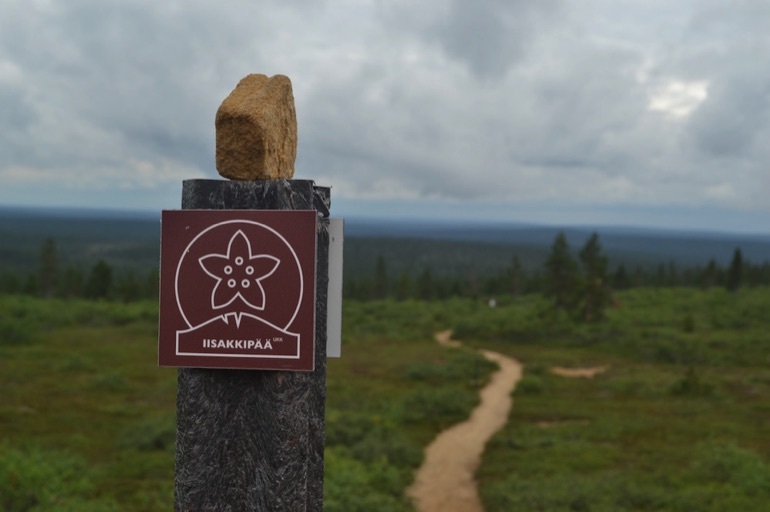 National parks in Finland are superbly equipped for all kinds of walking and hiking, with well-marked trails of varying lengths and spacious wooden wilderness huts for resting and sheltering in. 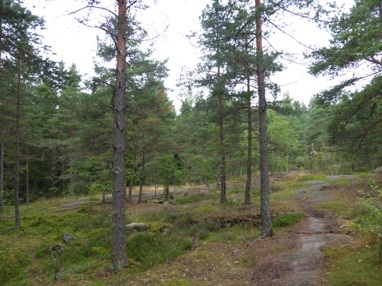 This is an ideal area to enjoy Nordic walking, with many different types of terrain and varied nature. Deciduous forest covers much of the area, creating a wilderness that is home to mammals such as elk, badger, fox and Arctic hare, as well as many different species of birds. The Hotel Haaga Central Park is a good place to base yourself in Helsinki if you want to enjoy some time in nature, as well as all the action that the city centre has to offer. 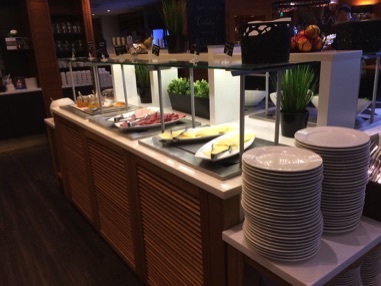 Just 10 minutes by train from Helsinki Central Station – and on the same rail route as the airport, further north – the hotel is easy to reach. For Nordic walkers, the location is superb – it's just a short walk across a footbridge into the extensive forest paths of Central Park. If you haven't brought your own poles, you can borrow some from the hotel reception for free. Once in Central Park, there are numerous routes to follow, from natural paths – crossing streams through dense woodland – to gravel tracks that make for easier walking in wet weather. Back at the hotel you'll find a wonderful wellness area to relax in, complete with swimming pool and sauna. The guest rooms are modern and comfortable, with forest views. 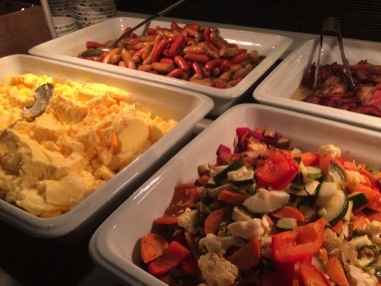 Breakfast is served in a spacious, airy dining room and consists of a range of delicious hot and cold dishes. 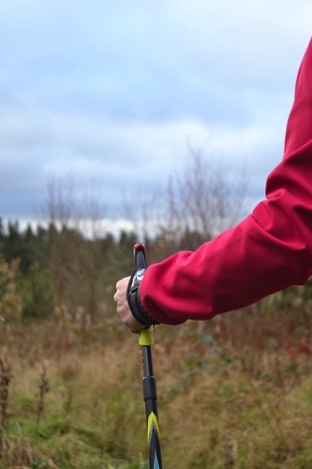 Leki Speed Pacer Vario poles are perfect for beginners and more experienced Nordic walkers alike. These 100 per cent carbon one-piece poles are very lightweight, to prevent fatigue over long distances, but also extremely strong and durable. They offer fantastic support and shock absorption for all levels of Nordic walking. There's an adjustable section at the top of the pole, so you can adapt them to the perfect length for your height. The fully adjustable, softly padded straps are comfortable, with easy-to-operate velcro fastenings, so the poles feel secure without restricting movement of the wrists. The straps have a quick release mechanism, allowing speedy removal when navigating styles, opening gates, or using a water bottle. The silent spike paws are brilliant over all terrains – the spikes provide great grip on mud or wet grass, and there's no need to remove them when moving from soft ground onto rocky paths. On really slippery ground, the paws can be removed to expose a spiked tip, for extra stability. 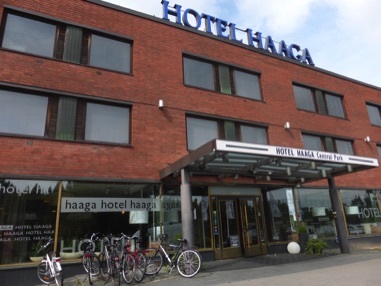 Hotel Haaga Central Park has Green Key certification, meaning that the hotel works to minimise environmental impact. Initiatives include efficient use of energy and water, recycling waste, sourcing local and organic food, and use of environmentally friendly cleaning products. 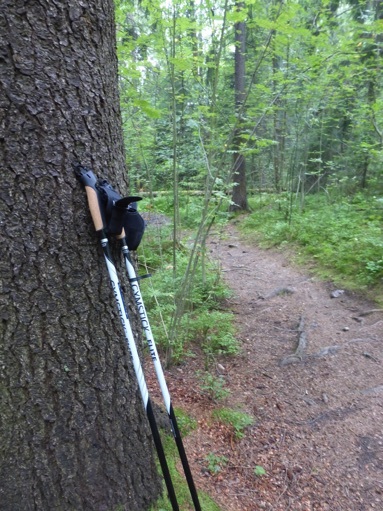 But you don't need to head out into the wilderness to enjoy Nordic walking. Helsinki, Finland's vibrant and beautiful capital city, is full of natural spaces – in fact a third of the city consists of parks, gardens and other green areas. One of these is the vast Central Park – a huge green belt of land stretching for 10km north of the city and covering some thousand acres.